Please don’t believe everything you see on the internet. Be skeptical and don’t implicitly assume that vast conspiracy theories are at work… This was the article which lit my fuse. Surgery, chemotherapy and radiation are constantly pushed as the only go-to options for cancer treatment, when this couldn’t be farther from the truth. How often does a cancer patient see a doctor who tells them that dichloroacetate can their cancer? That was recently discovered by researchers at the University of Alberta. Cancer is a multi-trillion dollar industry, it can be hard to believe that there are those who do not promote treatments that have been proven successful, but it simply means we have to go beyond what we are taught, use our critical thinking skills and find out the truth for ourselves. I’ve already written about and provided debunking of alkalinated water claims before. That last sentence quoted has a huge degree of irony; many adherents have just written off traditional medicine as corrupt and complicit in moneymaking conspiracies. Dubious online articles like this one above are so numerous it can be difficult to find real and credible ones among the junk science trash. This one defied the trend and I found to be worth reading. Be healthy, be knowledgeable and ask your docs and nurses questions – especially the tough ones. The image above is true – until you get below the numbers of the pH scale. Everything below that is completely unfounded and not supported by real science. This is a follow-up post on a topic I posted about a few days ago; I feel really sorry for all the people who have spent thousands on and lost hope from these worthless but expensive water ionizers. Most proponents I’ve met have a general distrust for doctors and believe that the drug companies (aka Big Pharma) and the government are all engaged in a great conspiracy with the doctors to not provide actual cures and treatments. Yes, it’s laughable. This morning I spotted a new article on the topic published by the reputable and respected Cleveland Clinic. Here’s the link:.Cleveland Clinic:Alkaline Water: Don’t Believe the Marketing Hype Here’s a snippet of the article. Please go read it and draw your own conclusions. Unless you have certain conditions such as kidney or respiratory disease, your body maintains a healthy pH balance on its own. In addition, once alkaline water hits your stomach, the gastric juices will neutralize it — another example of natural balancing. This makes any resulting benefits unlikely. Skewing your body’s pH balance too far on the alkaline side can do damage over time, too, particularly by throwing off the digestive process. Hydration is crucial for health, of course. However, because credible research backing the benefits of alkaline water is lacking, Ms. Czerwony recommends sticking with plain water. 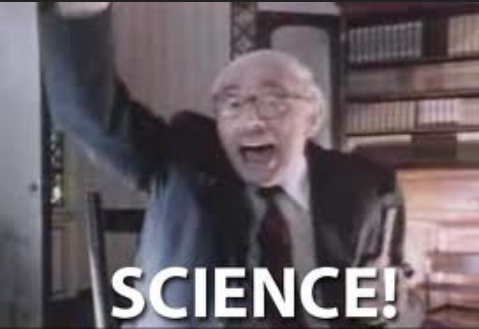 Junk science is faulty scientific data and analysis used to advance special interests and hidden agendas. I find myself channeling fury when I see the wasted energy and outright lies on so many alternative/natural so-called cures or preventative therapies for cancer. Most claim to have their origins in long known medical “secrets” among Asian societies. For some reason, they all lack the legitimacy of research/critical peer reviews and major academic institution endorsements. They are mostly nothing but modern-day multilevel marketed snake oil sales. 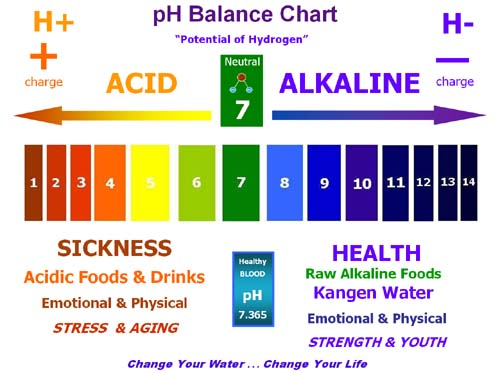 Most common these days seems to be the miraculous claims of the benefits of drinking alkalinated (PH >7.0) water. Frankly, the science isn’t there and the chemical claims about the product don’t add up. These water processing machines run from about $1000 to $5000 and offer zero real health benefits. The industry is shamefully selling false hopes to desperate people. The brand seen most often seems to be Kangen Water. Here’s a snippet from one of the better debunking articles online. Claim:Ionized water molecules form into hexagonal rings, which allow the water to be better absorbed by your body. Water molecules in liquid water move about freely, there is no way that a hexagonal arrangement could be formed or made stable. Stephen Lower is one of many chemists who have debunked this completely made-up and chemically implausible claim. 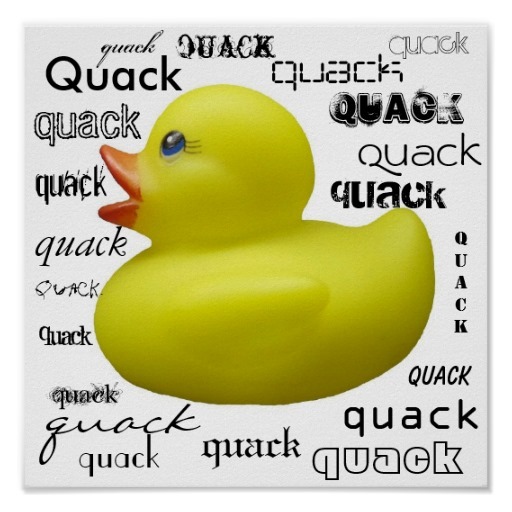 If you’re interested in the details, read his excellent web page “Water Cluster Quackery“. Hexagonal arrangements of liquid molecules are not a characteristic of ionization or of alkalinity. Such hexagonal arrangements in water have never been observed or plausibly theorized, and thus there is no way that it could have ever been established that such water is better absorbed by your body — since it doesn’t exist. The human body has never had a problem being hydrated by water, so this particular claim is a perfect example of a pseudoscientific solution to an imaginary problem. Claim: Drinking alkaline water reduces the acidity in your body and restores it to a healthy alkaline state. It is well known in the medical community that an overly acidic body is the root of many common diseases, such as obesity, osteoporosis, diabetes, high blood-pressure and more. This is absolutely false. Your body’s acidity is not, in any way, affected by the pH of what you eat or drink. Eating alkaline food stimulates production of acidic digestive enzymes, and eating acidic foods causes the stomach to produce fewer acids. Your body’s primary mechanism for the control of pH is the exhalation of carbon dioxide, which governs the amount of carbonic acid in the blood. Nor has there ever been any plausible research that shows any connection between these diseases and body acidity, this also appears to be completely made up. This is a classic case of using simplistic terminology to sell a product to the scientifically illiterate. Claim: Alkaline water detoxifies and cleanses your colon. Without it, mucoid plaque clogs your bowels and contributes to many diseases. The dreaded mucoid plaque again! Mucoid plaque is an invention by the purveyors of colon cleansing products, it has never actually been observed in medical science. Since it doesn’t exist, it’s impossible to say whether it would be affected by an alkaline diet. Digestive enzymes neutralize the pH of whatever you eat by the time it gets to your bowels anyway, so it’s hard to imagine what science might possibly support a claim such as this.